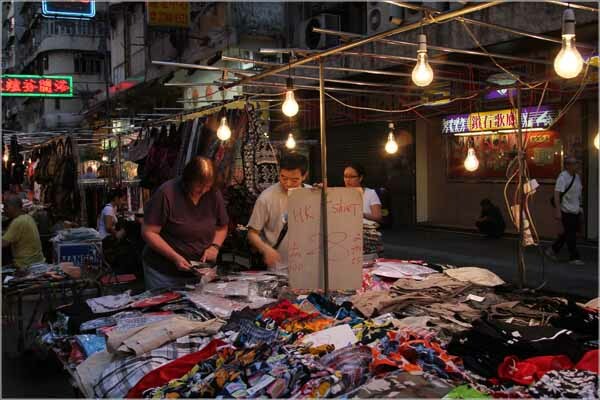 Regular readers may recall our limited luggage allocation resulted in a decision to purchase clothing during our brief stopover in Hong Kong. 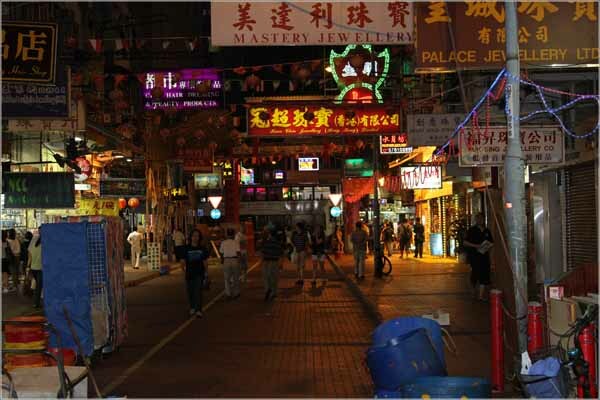 Last night we emptied my day pack and headed for the Temple Street night market. The poor TShirt seller didn’t know what hit him once Jan got into serious haggling mode. Plenty of genuine imitation European labels in this location! 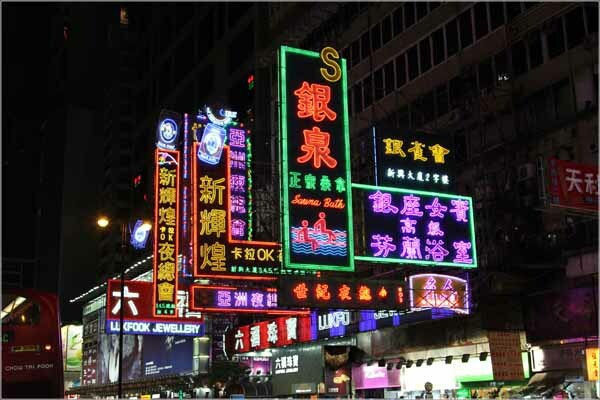 Hong Kong can look very “grubby” in daylight but as night falls and the neon signs illuminate it takes on a different atmosphere. The night market was only a short walk from our hotel so once we had purchased all the clothing it was a quick trip back to our room to empty the day pack. 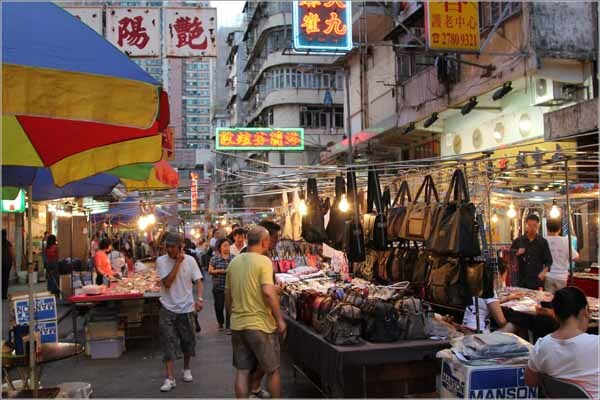 I then went off to the Mong Kok area in search of a camera bag for the DSLR we had purchased earlier in the day. The electronics area was a seething mass of humanity, 99% of the people being locals all all shopping. 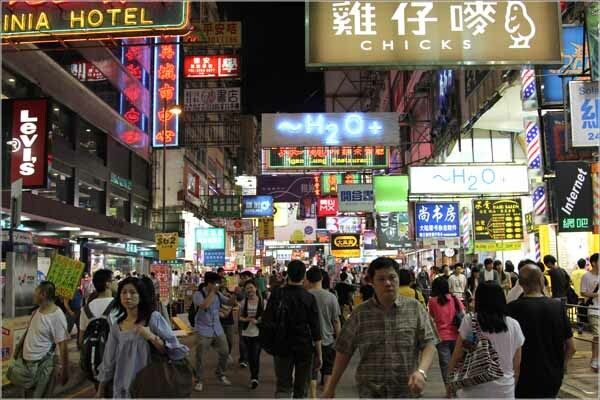 One difference I noticed from my last visit to Hong Kong was the indifference of the shop assistants. Getting service was frequently difficult. However I eventually purchased a bag at a very good price. Buying micro SD cards proved to be a very difficult task with either “no stock” or the price being uncompetitive. We will wait for the UK. I rather like this photo. By day the same scene looks very drab.